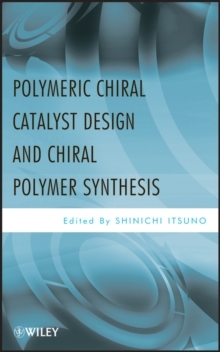 This book reviews chiral polymer synthesis and its application to asymmetric catalysis. It features the design and use of polymer-immobilized catalysts and methods for their design and synthesis. Chapters cover peptide-catalyzed and enantioselective synthesis, optically-active polymers, and continuous flow processes. It collects recent advances in an important field of polymer and organic chemistry, with leading researchers explaining applications in academic and industry R & D.